Last weekend we integrated our five new pullets in with the main flock and it has gone really smoothly (thank goodness). So far, the new girls are staying to themselves away from the other chickens and trying to keep a low profile. Smart girls! Our run is huge, so there is plenty of room for them to get away from the hens and roosters if need be. Their fuzzy fluff is long gone and has made way for such soft, beautiful feathers! They are starting to get a little spunky lately with their new found freedom and room to roam, so they don't like me to hold them and keep them from exploring. I oblige and just end up watching them have fun in their new environment. They probably have several months to go before they start laying eggs, but I am excited for more gorgeous colors in my egg basket. Summer will lay dark, terra cotta colored eggs that I can't wait to see! But for now, I'm just enjoying watching my girls turn into little ladies. The eggs will come soon enough. gorgeous young ladies! glad they're meshing well! What lovelies they are growing in to! They are growing into gorgeous young ladies. That Cheddie is so pretty! They did grow so fast, and they went from being cute to being beautiful! Their are like children, they grow up so fast. Your girls are still pretty. Love them all. Have a happy weekend, Tammy! It is amazing how fast they grow, great photos! They have turned into lovely young ladies in no time! It will be interesting to see their colored eggs. They look great Tammy. Isn't it amazing how fast they grow. Absolutely gorgeous phots, Tammy! I'm dreading the day I integrate my four babes into the flock... I'm so glad your integration is going well! Oh, your girls are all grown up! What beautiful birds. I love it when you share photos of your chickens. Oh, aren't they adorable! So lovely. They grow up so fast, don't they. I say that all the time about my kids, too! Chickens do grow very quickly!! Love the different breeds that you have!! Will this make for colorful Easter eggs for you? Summer has pretty markings. At this age - do you know for sure that none are roosters? Oh they are so Lovely beautiful Ladies. You have the best looking chickens around! Awww I love seeing how big they are now! Ours are about the same size, we integrated them into our flock over a month ago and it worked out pretty well! Glad to see everyone is happy and healthy! Gorgeous photos of your lovely ladies! We are excited for Lilly's hens to start laying.. it will be a grand surprise when we find our first egg. Really no telling when that will be, but it could be soon for the smaller breed hens. My package arrived over the holiday weekend, Saturday, I believe!! Full of goodness!! THANK YOU!! Beautiful...! Each and every one! I especially love Pearl's tail feathers... Gorgeous! 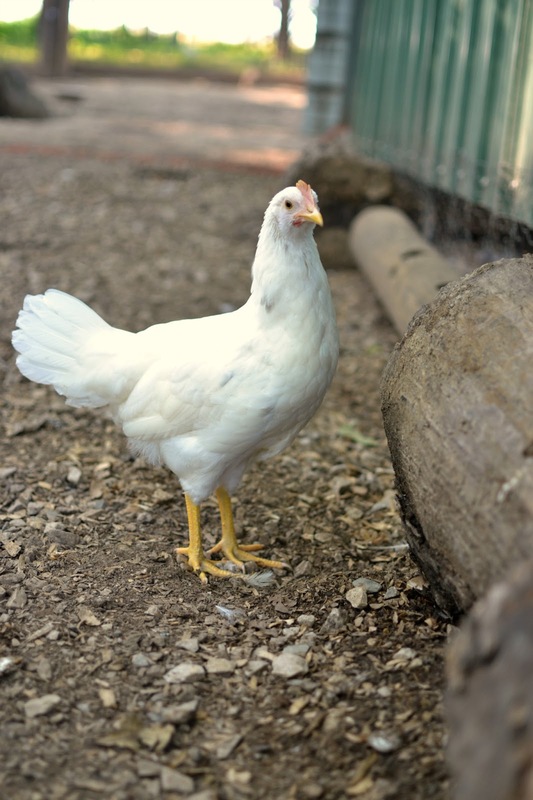 Beautiful hen, beautiful pics! It is amazing how fast they grow. Sounds like our animal mothering skills are very similar! What beautiful girls! I love the picture of Penny stretching up! So cute. I love these posts. It makes me more and more excited to be getting our little flock soon. They will be past the awkward stage and be older when we get them. The friends we are getting them from did all the "dirty work" for us. ohhhh how cute they are! It really is amazing how fast they grow! Well they are a cute bunch! Our little ones are about the same age as yours. We plan to integrate flocks next week, and I'm already getting nervous. Any tips? We also have a fairly big run, and the new ones out number the older girls by two, so I feel like they'll be able to hold their own. I hope so, anyway! The transformation is always so amazing, isn't it?! I'm hoping ours will lay soon! They look so beautiful and youthful. I'm trying to decide whether or not to mix layer breeds when we are ready to add layers to our property. I thought I was quite decided on raising a flock of the duel purpose heritage breed chanticleer ... or am I? 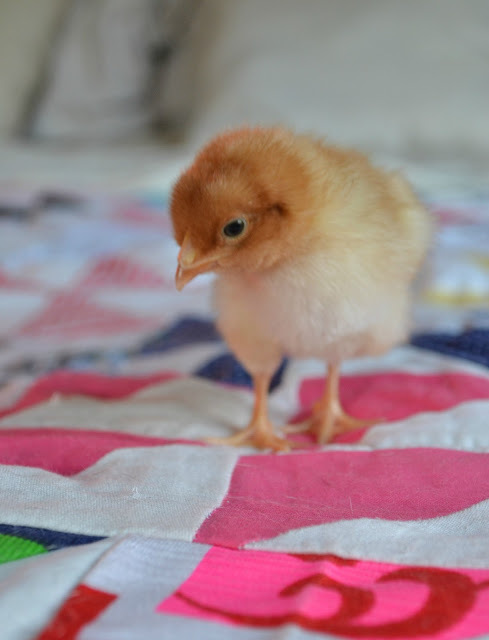 Having multi-coloured breeds and eggs is so charming! They are beautiful! It's amazing to see how fast they grow!